How to Access – Health Care professionals – Vibro-Pulse is available in the UK via the NHS. We can provide the Vibro-Pulse therapy equipment. Vibro-Pulse® therapy applicator pad. Contact us regarding availability in your area. PRODUCT Vibro-Pulse®. PACK SIZE 3. PIP CODE: 294-3678. PRODUCT No: 23066. 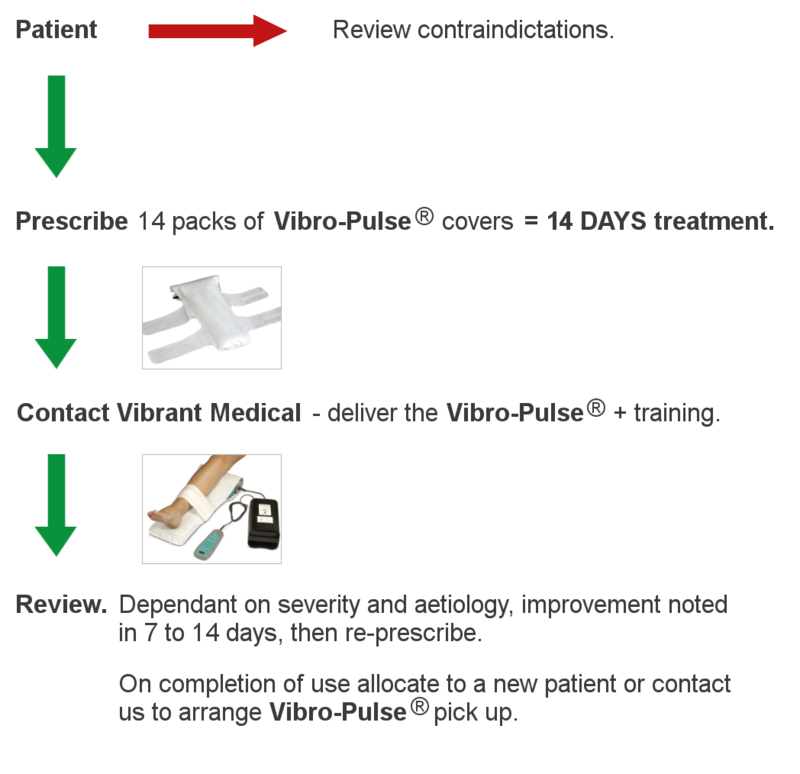 PROTOCOL – Apply Vibro-Pulse for 14 days then review, if improvement noted continue treatment until healing or until wound is static for 10 days. Level of improvement noted after initial 14 day treatment is dependant on aetiology, severity and duration of wound and any associated co-morbidities. For more information download our product brochure.